Ashampoo Home Designer, from the International computer software company based at Germany – Ashampoo, is an easy-to-use, professional-quality 3D home planning tool which designed to help users plan their future home or renovations in 3D without spending any money on materials and services, aiming to avoid expensive mistakes. Visit promotional page at http://www2.ashampoo.com/webcache/html/1/trial_step_1_6920_1_USD.htm. Key in your email address and press “SENDEN” button to register. You will receive an email from MrReg@ashampoo.com with a conformation link, just click the link to go to the page for filling in the name and other details to register for an Ashampoo account. Note: If you’ve been register with Ashampoo before, you will be directed to your personal Ashampoo account, and you can check your free license key of Ashampoo Home Designer directly. Upon completed registration, another email with a free registration license code of Ashampoo Home Designer will be delivered to your inbox. Once installation complete, input your free Ashampoo Home Designer license serial key to activate the application to the full version. 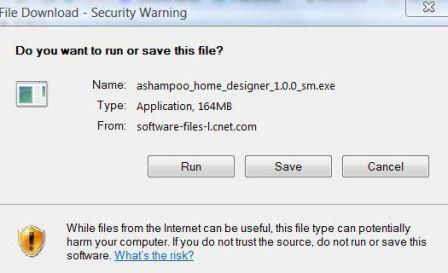 Ashampoo Home Designer is fully compatible with Windows XP, vista (32 & 64 bit) and Windows 7 OS. Note: Ashampoo Home Designer (latest version English setup installer is available for download) is also available free as part of Ashampoo free gifts promotion.